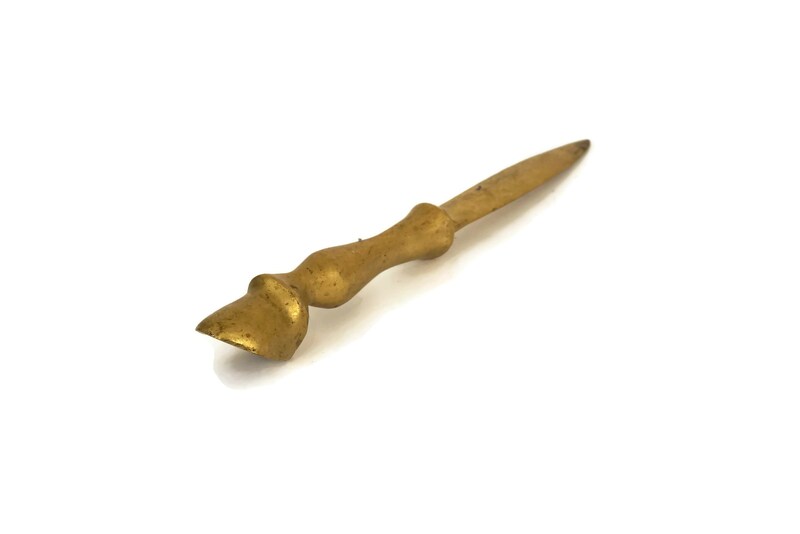 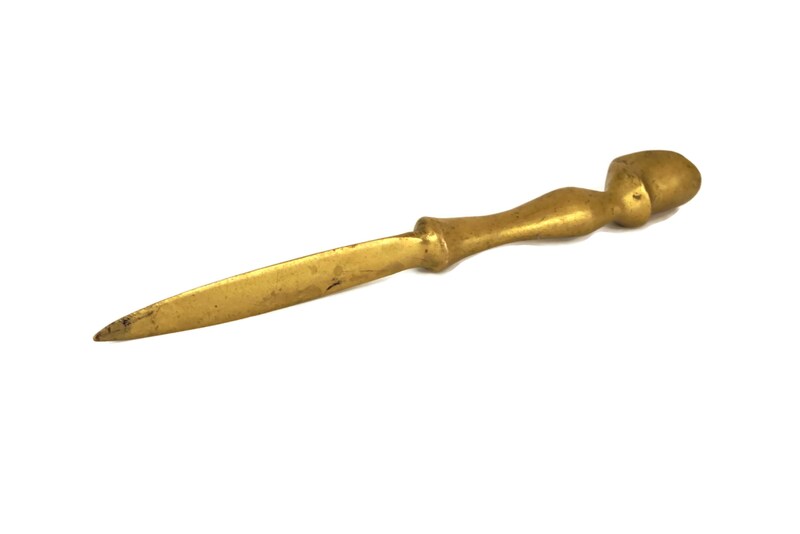 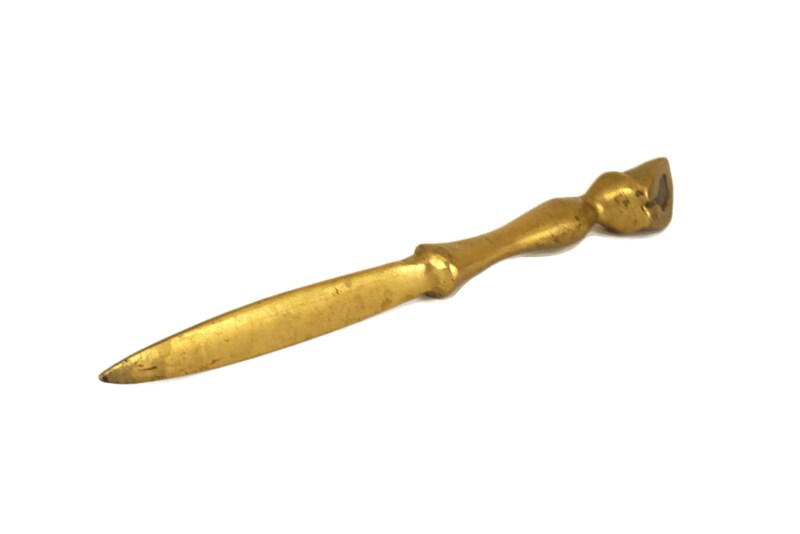 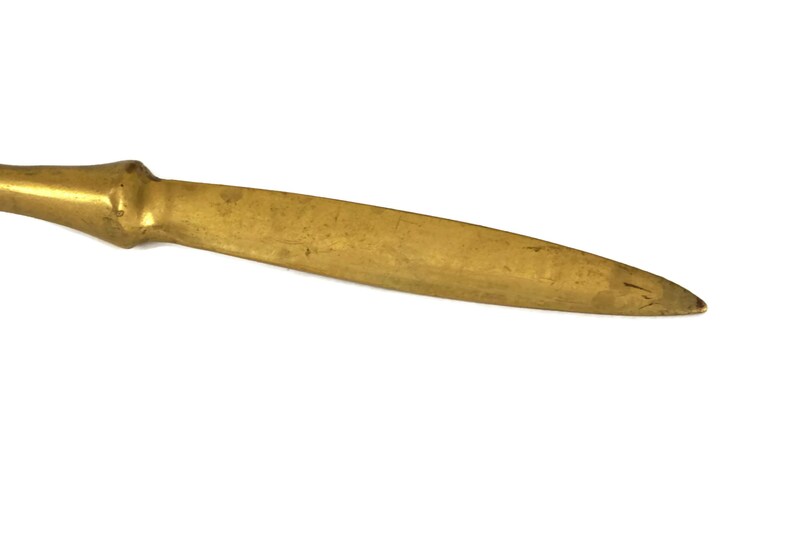 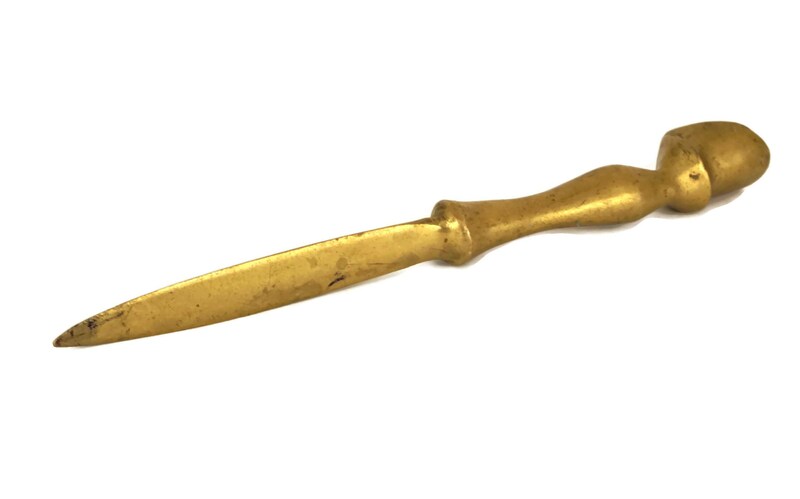 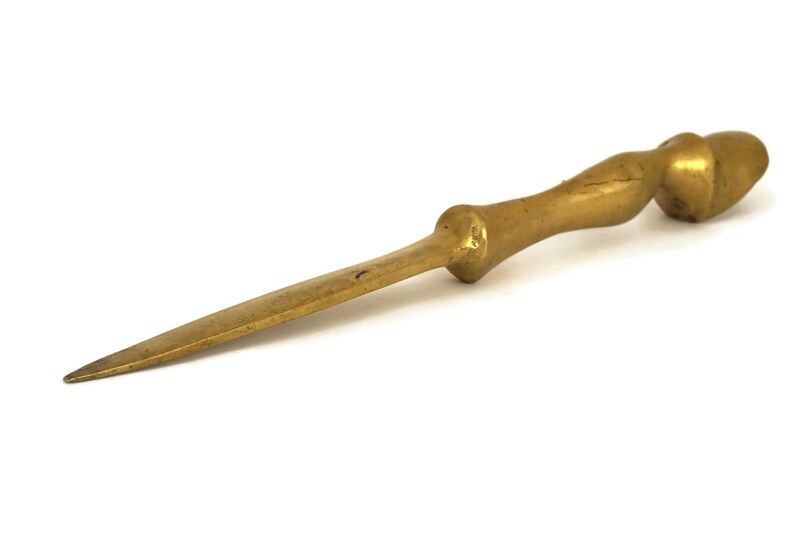 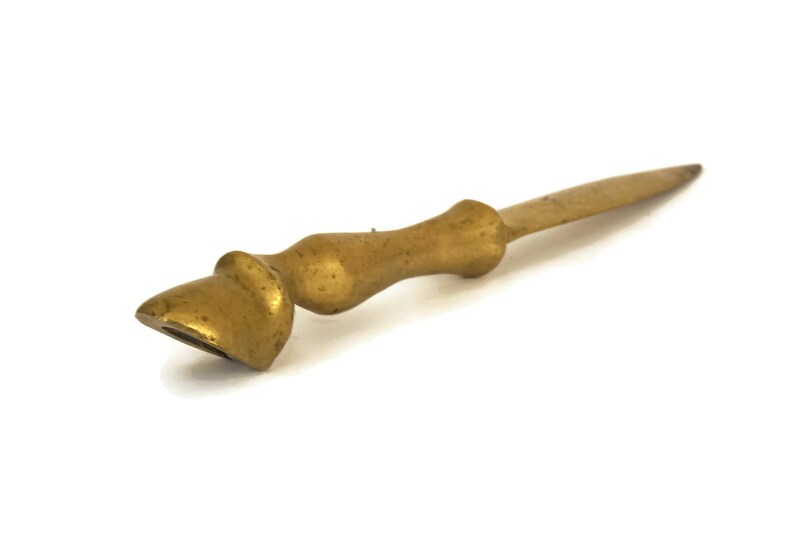 An elegant vintage brass letter opener created in the form of a horse's Leg. 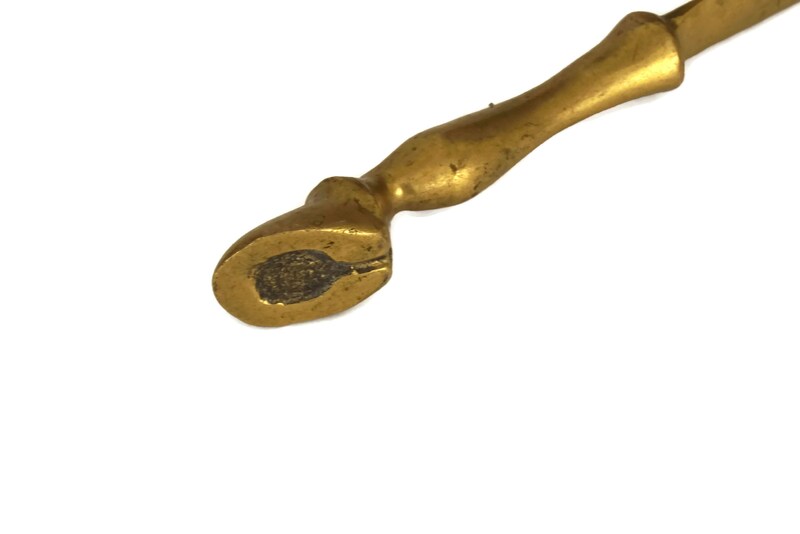 Cast from solid brass, it features the cannon, fetlock and hoof of a horse's lower leg. 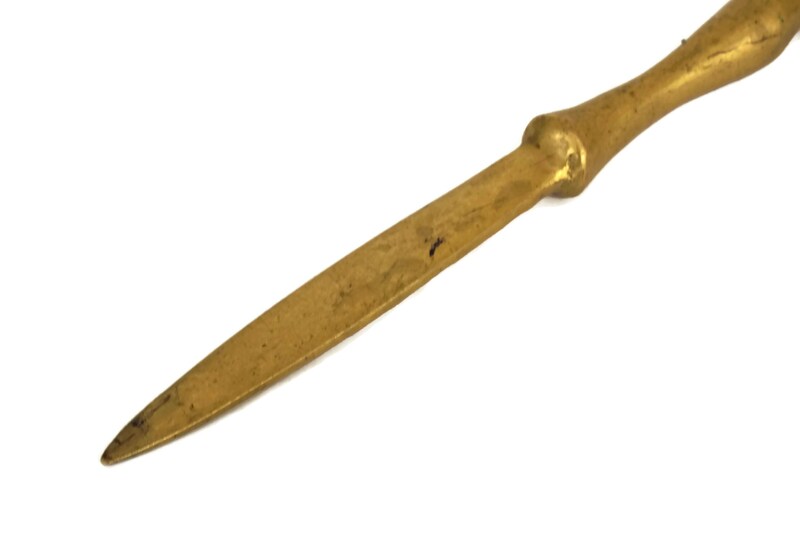 The blade of the paper knife has a tapering form with a sharp point. 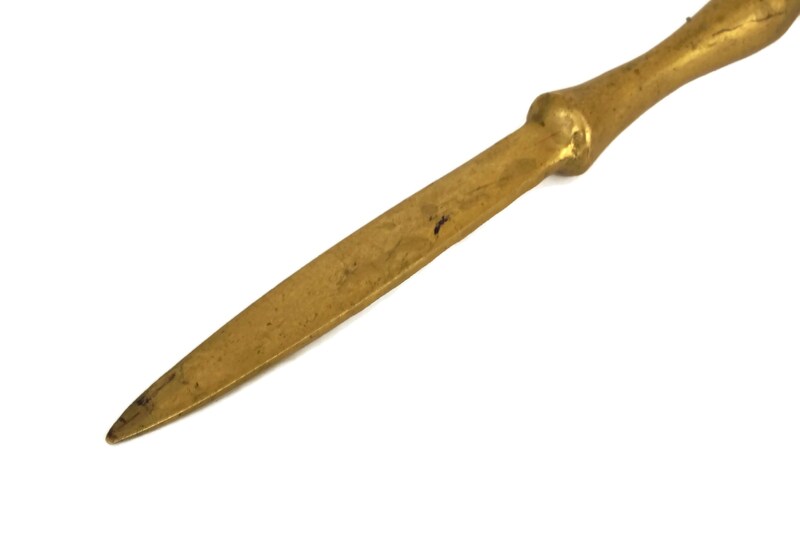 The brass letter opener knife is in good vintage condition with a rich, aged patina and some wear along the edges of the blade.